I was afforded an incredible opportunity when I was in San Francisco with Nespresso. 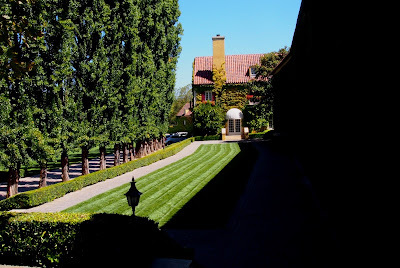 I had the incredible good fortune to be invited to visit the Jordan Winery located in Healdsburg, California, a short hour and a half drive north from San Francisco. This was my very first trip to wine country, and as I drove my little ZipCar over the Golden Gate Bridge, I could feel the excitement build to unbelievable levels. The drive from San Francisco to Sonoma Valley is incredibly easy, keeping you on one main road the whole time, and making it so simple that even I, who drives so rarely was able to make it up and enjoy the scenery as I drove past. I realized, as I neared my destination, that if I lived anywhere near San Francisco, I would spend far too much time in Sonoma Valley. estate. As I followed the winding drive way up to the its pinnacle, I was afforded views of the land, its lush fields and gorgeous landscaping, and then at the very top there sat the most gorgeous mansion. It seemed to appear out of no where, a mirage of beauty pulled straight from the French countryside. The beautiful home was the main structure for the Winery business, housing their hospitality office, the location from where their tours kicked off, a kitchen stocked with a world class chef to create fresh bites to savor with wine, as well as their full wine making operations. The chateau (there is just no other way to describe it), sits overlooking their acres of vineyards and the rest of their land. Jordan Winery began its operations in 1972, bottling their first vintage in 1976. They were founded with the principles of French wines- the idea was that their wines would invoke the ideals of century old French vineyards with their tried and true practices. This is an ideal that they have successfully brought forward throughout their operations since. Certainly, they have updated their techniques, and opened their doors to sourcing their grapes from around their area in the Russian River Valley and the Alexander Valley, but what has stood out, from their very first vintage is their consistency in quality. for the vineyard, but that doesn't mean they are resting on their laurels. Today the team at Jordan are continuing push their limits and break through new ground to not only maintain their long terms clients, but to continue to appeal to the younger wine explorers. Just a few weeks ago, the Jordan Winery launched a brand new take on the traditional vineyard tasting. 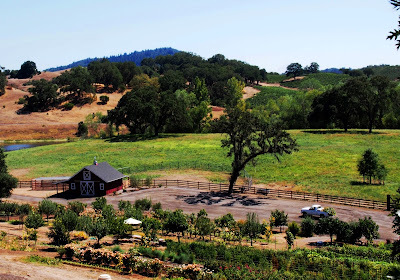 In addition to the standard tasting room discussions, the Jordan Vineyard will host small groups (no more than 12 in a party) and usher them throughout their land in a three hour tour. The itinerary includes a first stop in the grounds garden within which they grow a vast variety of fruits and vegetables, herbs and flowers. Here a light breakfast is served, and then the tour, all done from a gorgeous custom Mercedes Sprinter, moves on throughout the vineyard, stopping at different vantage points with incredible views of the grape vines, olive trees as well as the numerous lakes and incredible views contained with the 1,200 acres. Stops include tastings and food pairings and and unbelievable inside look at the operations of the vineyard. After touring the grounds and speaking with just some of the incredibly passionate staff it was so clear that there is a very good reason that the Jordan Winery has maintained their incredible reputation for quality over the years. They know their land. They know what will grow well. They know their grapes. They know their area, their neighbors, their staff. They know what they need to do every year to produce the wines that we've all come to love. They have extreme confidence in their product, and it shows. I would urge you to indulge in Jordan wines. 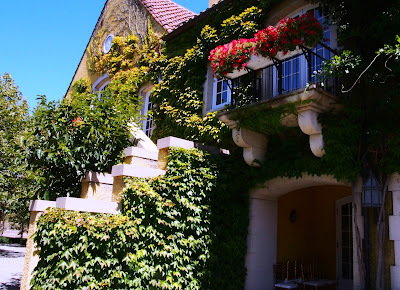 I urge you to travel to Sonoma Valley and visit the winery. To sit in their tasting room, or tour their chateau, or spend a morning with them exploring their incredible land. I urge you to join their rewards program and build points as you might be lucky enough to even stay in their chateau, an incredible experience. Jordan wines will provide a consistent experience with highly drinkable yet sophisticated wines. Both the Chardonnay and the Cabernet Sauvignon are complex, yet easy to pair and a perfect wine to enjoy during a leisurely evening, or to present as a thank you to a host. Beautiful pics. I've never been to Sonoma either and would love to go someday! Jordan winery looks beautiful! Gorgeous! This makes me want to go back to wine country, um, right now. 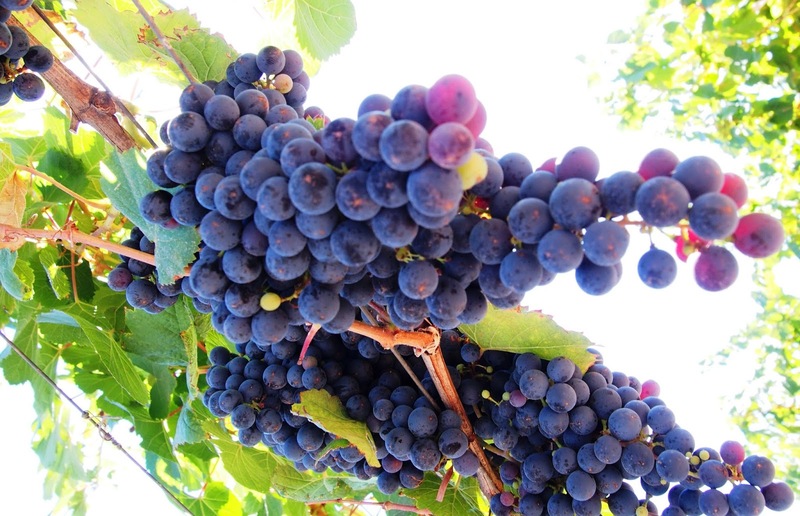 Wine tasting has become one of the popular businesses today and most of the wine production companies are conducting wine tasting events to attract the customers. It is a nice concept to increase the wine production and sales. Wine tasting is not only fun, but it has become one of the favorite hobbies of most of the people. Wine tasting events not only help increasing your wine experience, but it gives an opportunity to create new connections. I definitely want to go to sonoma some day, so thank you for this list of recommendations. 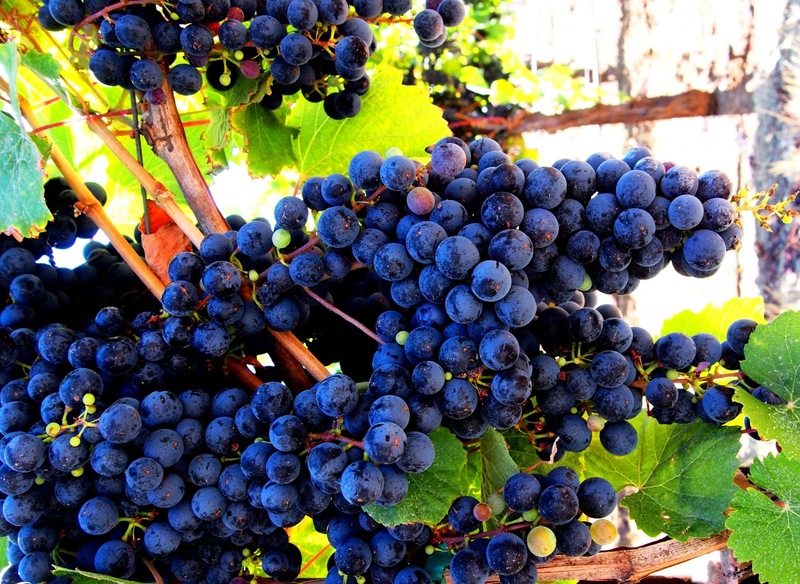 Very Nice Article to post because winery tours is become very popular business today. beautiful picture to share. thanking for sharing that.